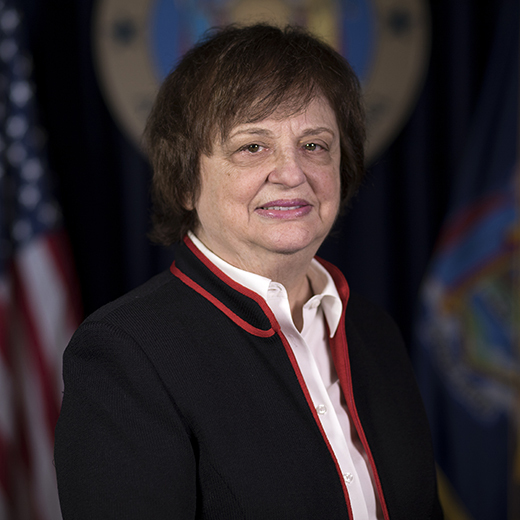 Barbara Underwood is the first female Attorney General of New York State. She was serving as Solicitor General when she was made Attorney General in May 2018 after the sudden resignation of Eric Schneiderman amid domestic abuse allegations. This podcast episode features Underwood's remarks at a CBC breakfast discussing the agenda of the Office of the Attorney General under her leadership. Listen to the conversation and let us know what you think: Ben Max of GG (@TweetBenMax), Maria Doulis of CBC (@MariaDoulis). Listen below or download wherever you get your podcasts! The State Board of Elections voted on Wednesday to hobble the subpoena powers of Chief Enforcement Counsel Risa Sugarman, dealing a significant blow to one of the state’s only election law watchdogs. The new rules, which were voted on by the board at a commissioners’ meeting in Albany, would require Sugarman to obtain permission from the board members (two Democrats, two Republicans) for each subpoena she plans to issue in a probe, and for the “circumstances of the investigation” to be divulged to the members. Previously, the board approved Sugarman’s ability to make subpoenas in probes, but she was given latitude to make individual subpoenas within a probe. The new rule also requires that Sugarman provide regular reports to the board members detailing metrics related to her investigations, and for investigations to be limited to six-month timeframes. Sugarman is the first and only person to hold the relatively new position at the board. She has, in the past, criticized the proposed rule changes as being designed to hobble the powers given to her in 2014, after Governor Andrew Cuomo and Legislature passed a law designed to depoliticize the BOE’s enforcement process. "These amendments would allow the politically partisan commissioners of the SBOE to impose their own political will on the independent chief enforcement counsel's investigations," Sugarman said in a June letter to the board, obtained by the Albany Times-Union. The final vote on the measure was 3-1 in favor, with Democratic appointee Andrew Spano dissenting. Before the vote, Sugarman provided sharply critical testimony wherein she accused the board members of attempting to hobble a crucial state watchdog. “By your vote today, you will send a message,” she said, saying that a “yes” vote would stand for partisan intervention into independent oversight, while a “no” vote would stand for “fair and complete investigations.” Sugarman said that the rescission of unmitigated subpoena power, as well as reporting requirements and a six-month timeframe for investigations, would hobble the enforcement counsel’s ability to fairly investigate campaign finance violations. Sugarman claimed that the regulations would slow the pace of investigations by requiring approval of subpoenas by the BOE, and would hinder the independence of the investigation by needing approval from partisan appointees. In effect, the commissioners, not the enforcement counsel, would “control the course and content of an investigation,” she said. Sugarman brought up supporters of her fight against the new regulations: seven state residents who submitted public comment, gubernatorial candidate and former Syracuse Mayor Stephanie Miner, the Office of the New York Attorney General, good government groups Reinvent Albany and Rochester for All, five members of the former Moreland Commission to Investigate Public Corruption, three District Attorneys, and attorney Milton Williams. Governor Cuomo, too, opposed the new regulations, expressing his opinion just before the board meeting, though it had been sought for weeks. “‎We reviewed these draft regulations and believe they are unnecessary and ‎could harm the operations and the independence of the enforcement counsel's office,” Cuomo spokesperson Tyrone Stevens said in a statement on Wednesday morning. “We don't support their adoption and, believe that today's vote should be delayed and members should go back to the drawing board to address these concerns. The Democratic members of the Board of Elections have been informed of our stance." Spokespeople for Democratic Assembly Speaker Carl Heastie and Republican Senate Majority Leader John Flanagan did not respond to requests for comment. The enforcement counsel was created to independently deliberate election law violations, instead of leaving the job to the partisan board of elections. After Cuomo faced intense controversy for his shuttering of the Moreland Commission, interpreted by many as a reaction to investigations into his administration or people close to him, he and legislative leaders Sheldon Silver and Dean Skelos (both now convicted of public corruption) fostered the creation of the enforcement counsel as a compromise. Regardless, the members of the board criticized Sugarman, saying that her office was inadequately enforcing campaign finance law. Douglas Kellner, the Democratic co-chair of the board, said that enforcement had “effectively stopped” since 2014, the year the enforcement counsel was created, in the areas of deficiencies and non-filings of campaign finance disclosures. Kellner and other board members said that despite thousands of referrals to Sugarman, only a few dozen hearings had been commenced. “It’s beyond me why there has not been public outrage at the fact that this has happened,” Kellner said, singling out good government groups for a lack of criticism. Kellner said that he had spoken to good government groups who were in support of the new rule, but did not say which ones. "I think it's pretty clear that I'm fed up with the current process of the enforcement unit,” Kellner said. “I call upon people in the good government groups...to look at the numbers. Look at the numbers of non-filers, and to how enforcement counsel has handled those non-filers." However, Rockland County District Attorney Thomas Zugibe, who submitted testimony against the new rule, said in an op-ed for loHud in July that board members had admitted in 2013 to only undertaking a single probe in the preceding four years. According to the 2015 Board of Elections annual report, Sugarman received board authorization to seek subpoenas in 19 probes in 2015, with nine cases being referred for possible prosecution. The 2017 report noted that Sugarman had received subpoena authorization in four cases and referred one for prosecution. The 2013 annual report, before the enforcement counsel position was created, lists no subpoenas or prosecutions. The board also voted on Wednesday to implement new regulations on political advertising on social media platforms, rules that follow the adoption of a new law passed in this year’s state budget. The new rules will ban foreign entities from purchasing digital ads on social media platforms, and will require ad buyers to register an independent expenditure committee; the board will require that IE’s name be displayed prominently on the ad, as having paid for it. The race for attorney general has quickly become one of the most competitive and intriguing of the 2018 election cycle in New York. After Democrat Eric Schneiderman resigned in May following revelations that he had physically and emotionally abused intimate partners, the question immediately arose of who would replace him. With a regularly-scheduled election -- that Schneiderman was expected to win handily -- just months away, potential candidates had a short time to decide whether to run. After some wrangling, four Democrats decided to throw their hats in the ring: Public Advocate Letitia James; U.S. Representative Sean Patrick Maloney; Verizon executive Leecia Eve; and Fordham law professor Zephyr Teachout. In the early legs of the campaign, each candidate has staked out a different profile and rationale for their run. By and large, they say they would continue much of the work started by Schneiderman and being continued by his replacement, Barbara Underwood, the former solicitor general who the state Legislature voted in as attorney general for the rest of the year and who declared she was not interested in running for election herself. Schneiderman built a substantial national profile for himself, especially for a state official, through his lawsuits against the Trump administration on matters such as the Muslim travel ban, the rollback of net neutrality, and the rescission of EPA climate regulations. Fighting the federal government aside, much of the ongoing, essential work of the attorney general is in areas of consumer protection, tenant protection, anti-corruption, and prosecution of fraud. It also serves as the state’s chief legal officer in representing New York in legal matters when the state is sued. Since the office was occupied by Eliot Spitzer, it has become a launching pad for gubernatorial hopefuls, like both Spitzer and Andrew Cuomo, and a space for publicity-minded prosecutors to combat Wall Street, using New York’s comparatively strong anti-fraud statutes such as the 1921 Martin Act. 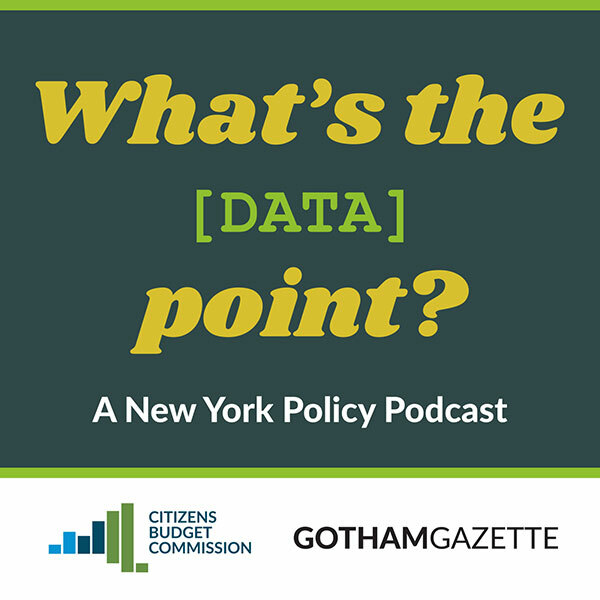 Spitzer, Cuomo, and Schneiderman all turned the office into one with a large political profile, weighing in on policy matters of all kinds. Schneiderman was largely seen as the frontrunner to win the next Democratic nomination for governor after Cuomo’s departure. His political career now appears over. After public opinion coalesced behind Underwood as Schneiderman’s logical replacement for the rest of the term, roughly ten potential Democratic candidates with interest in the position had to decide whether to launch a campaign ahead of the September primary and November general elections. James entered the race with clear frontrunner status, receiving endorsements from the State Democratic Party, Governor Andrew Cuomo, City Council Speaker Corey Johnson, and many other figures, advocacy organizations, and labor unions. But the field was not cleared for her. James, reelected for a second and final term as public advocate -- the first woman of color to hold a citywide elected office -- in November of last year, is facing serious competition from Teachout, who has a lengthy legal resume and ran for governor in 2014 and Congress in 2016; Maloney, an attorney who worked in the Bill Clinton administration; and Eve, a former aide to Joe Biden and Hillary Clinton when each was a U.S. senator, and to Gov. Cuomo. Each of the four candidates has sought to define themselves in the early going of the primary, while other general election candidates await to see who is victorious in what promises to be an interesting and hard fought campaign. While James appears to be the early favorite, the race is also wide open, with each candidate possessing certain strengths and constituencies, and a lot still left to play out. The only poll of the race thus far, from Siena College on June 13, showed James leading the pack with 28 percent, Teachout with 18 percent, and Eve with 4 percent; the poll was conducted before Maloney officially entered the race, and 47 percent of those surveyed were unsure. A campaign spokesperson for James, Delaney Kempner, said, "Tish is prepared to debate anybody and everybody, and she will do that as soon as the Board of Elections certifies candidates." James is the only candidate of the four guaranteed a ballot spot given the support she received at the state convention -- the others must collect petition signatures to qualify. Schneiderman’s resignation opened up James’ dream position. While the public advocate had been eyeing a 2021 run for New York City mayor, her legal background, including work under Attorney General Eliot Spitzer, laid the groundwork for the possibility of an attorney general run at some point. The opportunity came earlier than anyone expected. Upon the vacancy, James was in the running to win legislative appointment, but a variety of factors led to Underwood taking the helm of the office and James running in the primary. James quickly became the Democratic establishment choice, aligning herself with Cuomo and initially spurning her longtime allies and the governor’s longtime foes in the Working Families Party. The WFP decided to announce its support for both James and Teachout, with the hopes that it will give its general election ballot line to one of the two if either is victorious in the Democratic contest -- and James has expressed love for the WFP and optimism that it will all work out. She’s promising to be “the people’s lawyer” and to continue her career-long fight for social justice. Her early campaign has shown signs of stress, though, with regard to the close relationship with Cuomo, and calls for the next attorney general to be an independent voice from the governor, especially on matters of government ethics. After law school, James started her career at the Legal Aid Society, where she worked as a public defender. She became an assistant attorney general under Spitzer, where she said she fought consumer fraud and predatory lending. She has also served as Assembly counsel. 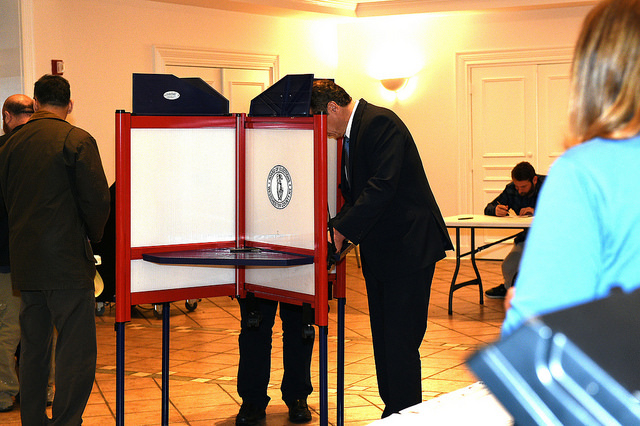 James was elected to the New York City Council in 2003, then as public advocate in 2013. She would be the first woman (along with her opponents Teachout and Eve) and woman of color (along with Eve) to be elected attorney general, and the first woman of color to hold statewide elected office in New York. As public advocate, James has been notably more litigious and legislative than her three predecessors in the office that provides its occupant much latitude to define priorities. She has sued the city to, among other things, block charter school colocation and to get air conditioning on school buses for students with disabilities, and she sued the Staten Island District Attorney to obtain testimony to the grand jury that declined to indict Daniel Pantaleo, the officer whose chokehold killed Eric Garner. However, all three of those lawsuits, like several others during her tenure, were tossed by the courts, ruling that she had no standing to sue. James’ school bus suit had been allowed to go forward by a Manhattan Supreme Court judge in 2016, and she then won a settlement later that year for her two co-plaintiffs, children with disabilities who did not have access to air conditioned buses. However, the lawsuit to be tossed in 2017 by Manhattan Appellate Court. James has also had her share of victories as public advocate. Ten pieces of legislation for which she was the primary sponsor have passed through the City Council and been signed by the mayor. Most notably, she championed the cause of prohibiting employers from asking questions about salary history, a move aimed at gender pay equity, which became law in May of 2017. She was also the primary advocate in government for making public school lunches free for all students, which came to fruition last September. Her office publishes an annual list of the “100 worst landlords” in the city, a practice started by her predecessor, Bill de Blasio. She has also had some successful lawsuits, such as her suit against the city’s finance department over allegedly wrongfully kicking seniors off the rent freeze rolls; the suit was settled for $130,000, covering legal fees and damages for ten plaintiffs. James has pushed body cameras for police officers and gun control; and she has voiced support for legalizing recreational marijuana, breaking with de Blasio and Cuomo in the process, though Cuomo appears on the verge of a similar stance. She has strong ties to labor unions and to advocacy groups. Notably, some of the progressive Democratic clubs and activists that are set on defeating Cuomo in this year’s primary are supporting James, even as she has allied herself with the governor. In an appearance on WQXR’s Capitol Pressroom, James said that she would focus her tenure on issues like consumer fraud and housing discrimination. James also took a decidedly softer stance on the Joint Committee on Public Ethics (JCOPE), a state-level oversight body, than Teachout. James she said that while the organization has issues, she didn’t think that its executive director should resign without an investigation, as Teachout has called for. In response to calls for a new Moreland Commission to Investigate Public Corruption, which are being made by Teachout, as well as Cuomo opponents in the gubernatorial race, James also indicated she doesn’t see it as a priority. She has broadly promised, however, to fight corruption in government if elected attorney general. Teachout, who unsuccessfully challenged Cuomo in 2014, is staking her bid for attorney general on four planks: “fighting Trump, taking on Albany corruption, fighting corporate scams and corporate monopolies, and spearheading the moral argument against mass incarceration.” She had been serving as the treasurer for the Cynthia Nixon campaign before resigning gto run for attorney general. Of all the candidates on the Democratic side, Teachout has been the most critical of Schneiderman’s tenure, saying that he failed to adequately pursue corruption by Trump in both his businesses and government; in state government; and in the real estate and financial sectors. In her launch video, Teachout notes two instances where she contacted Schneiderman’s office but achieved no results. The first was in 2014, when she asked him to use “the full power of his office” to investigate Cuomo’s shutting down of the anti-corruption Moreland Commission. The second was when, soon after the 2016 election, Teachout asked Schneiderman to join a lawsuit in federal court against Trump regarding the emoluments clause to the U.S. Constitution. Schneiderman did not join the suit. Teachout says that she will join the suit if she wins. In referring to Schneiderman’s apparent inaction on the Moreland Commission, Teachout said that the state needs an “independent” attorney general, possibly a dig at James, who was endorsed by Cuomo and the State Democratic Party. Teachout also referred to herself as an “outsider” from the notorious political culture in Albany. She has long-called for major changes to state government ethics and campaign finance laws, as well as voting and election laws. Teachout claims that the Moreland Commission to investigate corruption in state government was never disbanded, though it was “shuttered” at the behest of Cuomo, when it was beginning to investigate donors close to the governor, according to reports. In a statement, Teachout said that she would restart the commission’s work as attorney general. Teachout’s platform also includes a heavy emphasis on “trust-busting” and combating corporate mergers such as those of for-profit hospitals and others similar to the cable giant Spectrum. She further hopes to use the office to push criminal justice reforms such as eliminating cash bail and reform of New York’s discovery laws. Like with the calls for the head of JCOPE to resign and the debate challenge, Teachout is running an aggressive campaign that often forces her opponents to respond to her. Eve, a former candidate for lieutenant governor, advisor to Hillary Clinton and Joe Biden, and Cuomo administration official; and now a lobbyist for Verizon, has so far run a subdued attorney general campaign, though she says that that will soon change. Eve formerly served in the Cuomo administration as general counsel to Empire State Development, the state’s main economic development organization. She told Gotham Gazette that, despite repeated ethical concerns within the state’s larger economic development apparatus, she was never aware of any corruption within ESD. She currently serves on the board of the Port Authority in a volunteer capacity. Asked on Capitol Pressroom whether having worked for the governor diminished her independence, Eve said that she was not the candidate endorsed by the governor or the state Democratic Party. “I have not spoken to the governor about my race,” she said. She said she would fight endemic corruption in the state as attorney general, and that convening another Moreland Commission should be “under serious consideration.” However, she demurred on harsh criticism of JCOPE or its embattled chair, Seth Agata, whom she has worked with. “Certainly in all my dealings with him,” she said, referring to her time serving in the Cuomo administration, “he conducted himself with integrity and honor.” On “Capitol Pressroom,” she implied that Teachout was “grabbing headlines” by calling for Agata to resign and criticizing JCOPE. Like James, she would be the first woman of color to serve in statewide elected office. Asked on Capitol Pressroom by host Susan Arbetter whether it was important for New York’s “top law enforcement official” to be a woman of color, as laid out by activist groups like Black Lives Matter, Eve agreed that it matters, but implied that experience should not be discounted. Eve claims that she is the most qualified candidate running for the post. In Washington, she worked for the law firm Covington and Burling, followed by a stint at Biden’s senatorial office, where she worked on the Violence Against Women Act and the controversial 1996 immigration bill. Afterwards, she served as counsel to New York Senator Hillary Clinton. She ran for lieutenant governor in 2006 but was passed over for the ticket with Eliot Spitzer, then the attorney general; she wistfully notes that if she, rather than David Paterson, had been selected, she would have become the governor given Spitzer’s resignation in disgrace. Eve has won the endorsement of the Erie County Democratic Party, the local party organization for her hometown of Buffalo (she now lives in Manhattan). She applied for the legislative appointment, but withdrew her name in favor of appointing Underwood. She claims that she has seen the inside of a courtroom more than any other candidate, part of why she says she is the most qualified to serve as attorney general. Eve told Gotham Gazette she will soon be transitioning to full-time campaigning, and told Gotham Gazette that she would continue Schneiderman’s lawsuit against the federal government over the rollback of net neutrality, despite her employment by telecommunications giant Verizon. Eve claimed that Verizon supports net neutrality, though the company publicly supported the FCC’s rollback of net neutrality rules and lobbied states not to pass their own net neutrality provisions. Rep. Maloney, of Putnam County is running for attorney general while also running for reelection to Congress. He was not challenged in the congressional primary on Tuesday, and has said if he wins the AG primary in September, he will then remove himself from the general election ballot for the House. It is a curious, controversial move that has his Republican congressional opponent calling foul and some Democrats scratching their heads. It also has his legal team and other lawyers preparing for a possibly challenge to his ballot status. Maloney ran for AG in 2006, coming in a distant third place in the primary, in a race won by Andrew Cuomo. Before that run and his subsequent successful congressional campaign, he worked for multiple Manhattan law firms, as well as in Albany and Washington. Maloney also stated on Twitter that he is in favor of net neutrality, saying that its repeal “will only hurt New York families.” Further, he endorsed the legalization of marijuana. In an appearance on the Capitol Pressroom soon after announcing his campaign, he said he would continue a lawsuit against Exxon filed by Schneiderman and Massachusetts Attorney General Maura Healey, and would also seek to hold pharmaceutical companies accountable for the spread of opioids. On ICE in courtrooms, his answer was evasive. Maloney also boasted of having passed “30 bipartisan bills” in his congressional tenure on behalf of veterans, farmers, and trains, and that he played a significant role in stopping “Trumpcare” in Congress. If elected attorney general, Maloney’s adversarialism toward Wall Street may not be as strong as James’ or Teachout’s would be. According to Public Citizen, Maloney has accepted almost $500,000 in donations from the financial sector over the course of his career. In May, he voted for a bill in Congress that significantly diminished the post-recession regulations on the financial sector. Like his opponents, Maloney is taking a hard line on Trump. On Capitol Pressroom he said he is “playing defense” in Congress, but that he wishes to “get on offense” against Trump as attorney general. “Changes to the #SupremeCourt mean our democratic values are under attack by this president and his goons that think we should roll back rights on minorities, women, and #LGBTQ people,” Maloney tweeted on Thursday. “We can’t let it stand. Fight back with me,” he added, with a link to his campaign website. Maloney’s campaign declined an interview request from Gotham Gazette, citing a busy schedule in Washington, D.C. The winner of the Democratic primary for attorney general will face Republican nominee Keith Wofford and other smaller party candidates in the general election.